Comment: 4 Bedrooms, one flight of stairs with upstairs landing and hallway, front entry and living room. Furniture in all rooms. Comment: I need my living/dining rooms cleaned. Also I would like the carpet stretched if you do that service?? Comment: Carpet in downstairs den Set in concrete. Lots of worn traffic areas...no other chemical or pet stain areas. Want chemicals that will not harm pets and smell gone as quickly as possible. Comment: My carpets haven't been cleaned for two years and besides a few spot cleaning areas need general cleaning. Comment: 3 bedrooms, stairway to basement and family room in basement need to be cleaned. Comment: dirty stairs and hallway. one bedroom with a few stains. Comment: Need the stairs and bedrooms and hallway cleaned on the second floor of a house for a move out. The first floor has hardwood. Louisville Carpet Cleaning Services are rated 4.80 out of 5 based on 972 reviews of 11 pros. 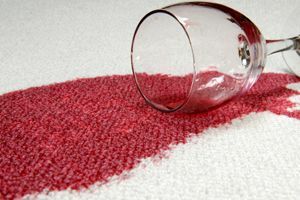 Not Looking for Carpet & Upholstery Cleaning Contractors in Louisville, CO?